Dutch packaging specialist Volkers has deployed Esko’s software and hardware solutions to improve production efficiency. The company invested in a range of technologies to streamline its operation, decreasing costs and cycle time. Volkers provides a variety of services ranging from design to print for retailers, brand owners and printers. Currently, Volkers is implementing a variety of prepress software solutions such as Esko’s Automation Engine Connect, Kongsberg X20 digital finishing device and CDI Advance 4260 laser imager for direct exposure on flexo plates and sleeves. Automation Engine Connect enables to streamline workflow, helping to create production flexibility with ESko’s wide range of other prepress editing and workflow solutions. The Kongsberg X20 will be used to effectively cut flexo plates, making them suitable to be used with print cylinders. Esko CDI Advance 4260 will help in providing quality flexo applications, specifically flexible packaging and folding carton markets. The system’s larger size plates and sleeves, as well as productivity enable to meet the demands of tradeshops and converters. Volkers director Rick Volkers said: “As a genuine family business, we make an extra effort. It is what makes us different in a world that is changing faster than ever before. “By changing gears in a timely fashion, we aim to continue to satisfy the needs of our customers and exceed their expectations. 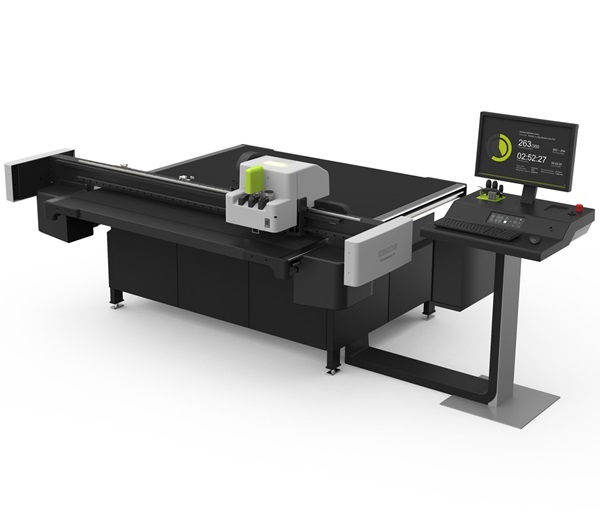 Image: Esko’s Kongsberg X20 digital finishing device. Photo: courtesy of Esko-Graphics bvba.